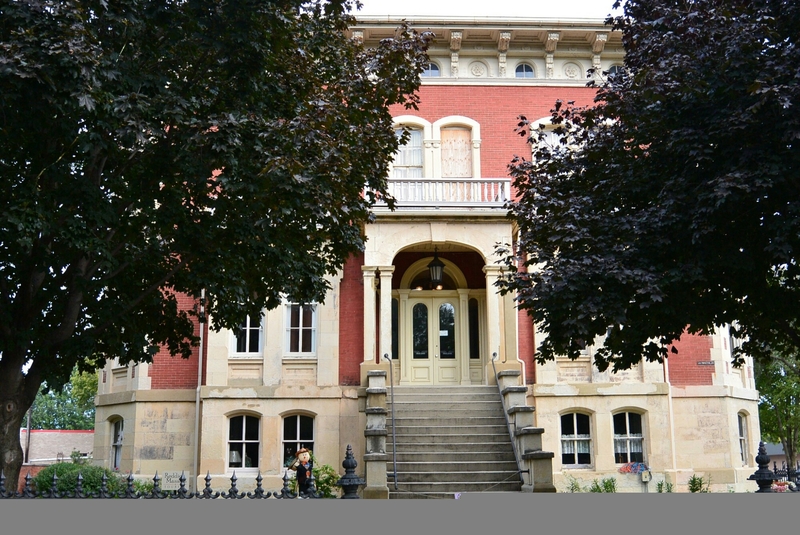 One of the more distinctive structures in Washington Park of Ottawa, Illinois is the Reddick Mansion which is located on the corner of Columbus and Lafayette Streets. It was constructed between 1856-1858. It was designed by William Olmstead and Peter Nicholson. 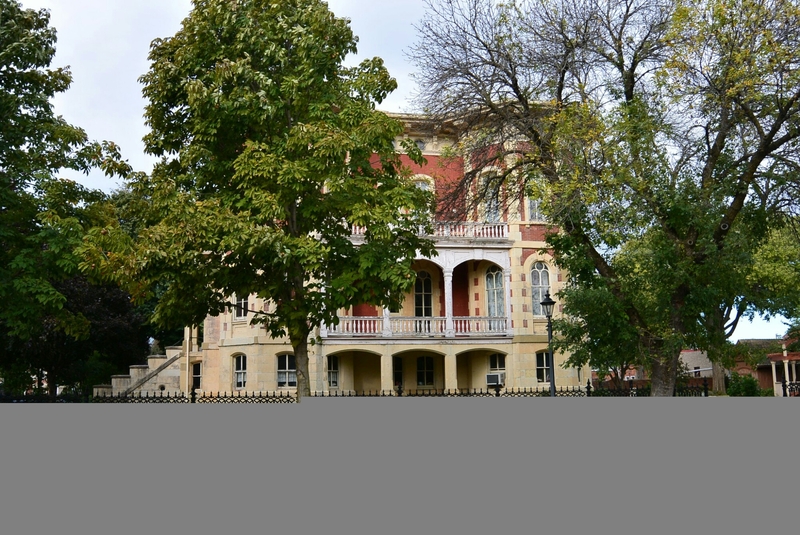 It is an Italianate style mansion measuring 50 feet in height. It has 22 rooms. It stands out for the use of polygonal bays, ground level basement, Lemont limestone and red brick external walls. The house was commissioned by William Reddick. Mr. Reddick was born in Ballynahinch, County Downs, Ireland on 10/31/1812. His parents were James and Bessie. He received his early education in non demoninational schools in Ireland. His family migrated to the the United States in 1816 first to the New Jersey area. His father died in 1821. The family went to Zainesville, Ohio and Wheeling and Wellsburg ,Virginia in 1825. He learned the art of glass blowing. He met and his wife Eliza Jane Collins (from Brownsville, Pennsylvania)in the early 1830’s. Their marriage was in 1833. They both went to Washington, D.C. in 1832. For two years, he continued to practice the art of glass blowing. He was able to save $1000. In 1835, he and his wife moved to the Ottawa, Illinois (Bruce Township) region. He was elected sheriff of LaSalle County in 1838, a position he held to 1846. He and his family moved to Ottawa. He was an Illinois State Senator from 1847 to 1851 and again in 1870. He had a family of one daughter and 5 sons. He was a successful businessman and had large land holdings. His wife died in 1883. He died in 1885. The mansion was willed to the city of Ottawa. Upon the death of Mr. Reddick, the building was used as Ottawa’s first public library according to the terms of the will. It served in that capacity from 1888–1975. 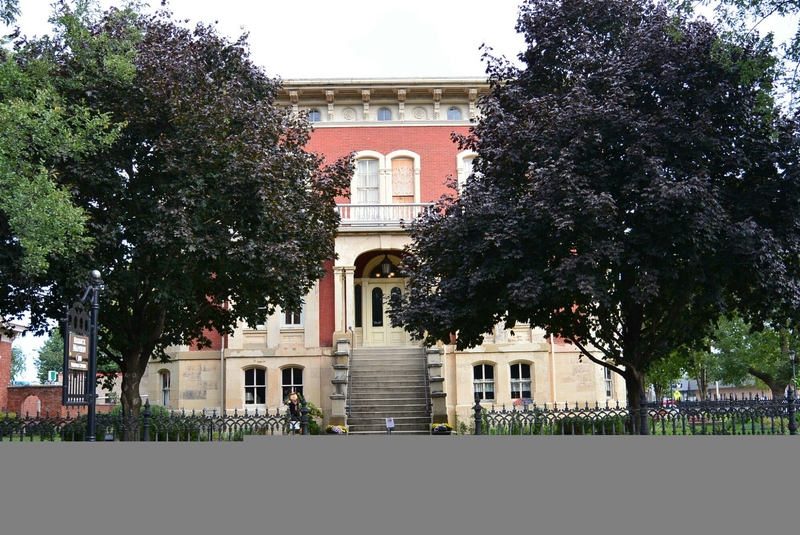 The Reddick Mansion Association was formed in 1975 to preserve, restore, and maintain this building.